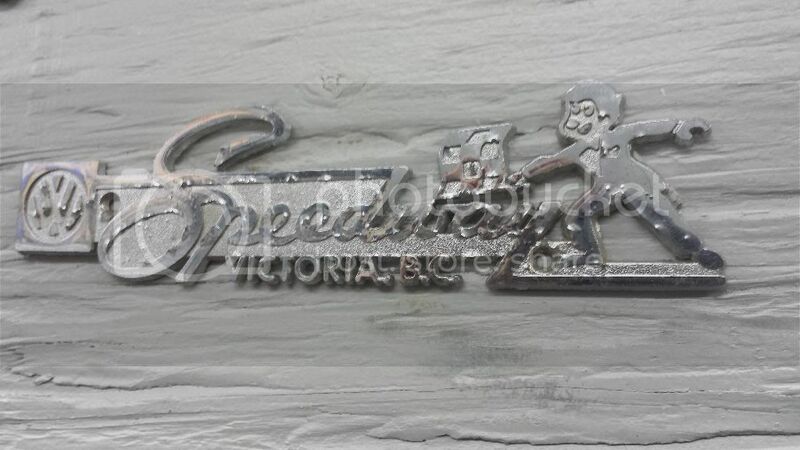 It now appears that there's enough interest in VW specific plate frames to have a dedicated thread. Some of us here have been collecting (hoarding) these for many many years. Here's the chance to post what you have and what your looking for. Make a trade or list it for sale here. Since your the biggest hoarder, Why don't you start... What you willing to give up? Just Slam it and Drive It !! Good going Geoff !! Annnnnd yah , what he said !!!! 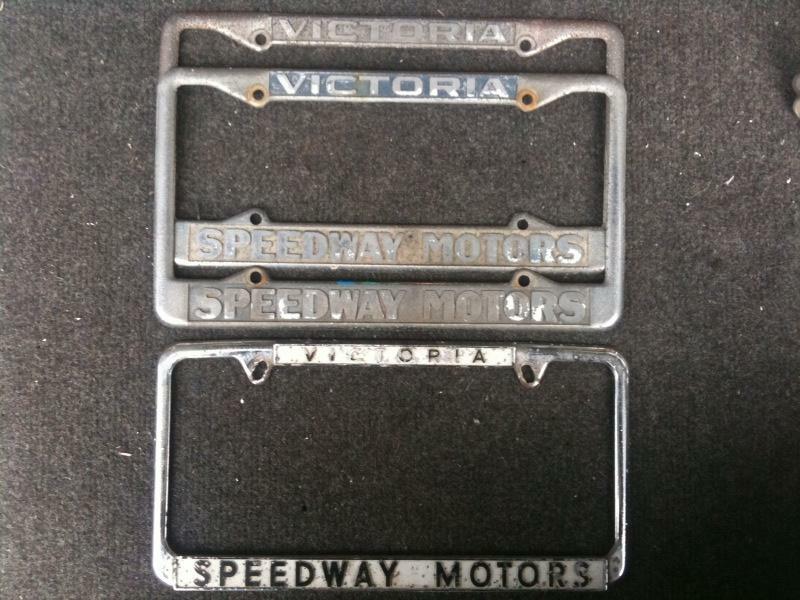 WTB a Harrison Volkswagen Nanaimo licence plate frame , please and thànkyou ! Those that mind , don't matter !! can I just post picts of them and then tell people I don't want to sell them? Or throw such a high price that I can post them but nobody would ever buy them? Whats the fun in Hoarding when you give stuff up? I'm looking for one or two myself so i'll add what i'm looking for and or willing to trade. I'll take a look this weekend. Ill play....heres the ones I have. 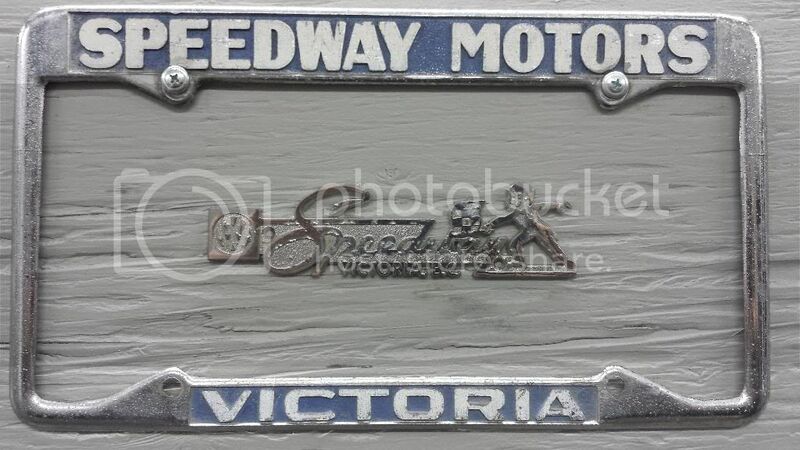 I want a matching Speedway one with the dealer name on the top....every one (other than this one has Victoria up top?) Who has one they wanna part with? The Douglas VW Victoria is even more rare (I believe) becsuse they werent around very long? I've posted pics before of a few, when I get time ill post more if you like. Yes, in the 60's and 70's most dealers had a front and rear frames... that's why one is on the top and one on the bottom. Whack! I thought you were shitting me before? So which one goes where then? And when do you wanna swap me one of those speedway ones for the Douglas? G is a pretty busy guy......he did text me pics of the super stash just to rub it in me thinks? He only has oh 40-50 maybe more? Josh, Find me a Maguire frame. From Duncan.. maybe we can make a deal. Let's smite the hell out of him..... see if he can get less karma than me? Honest work for honest rates. Done by people that are just as excited to see your dream hit the road as you are. 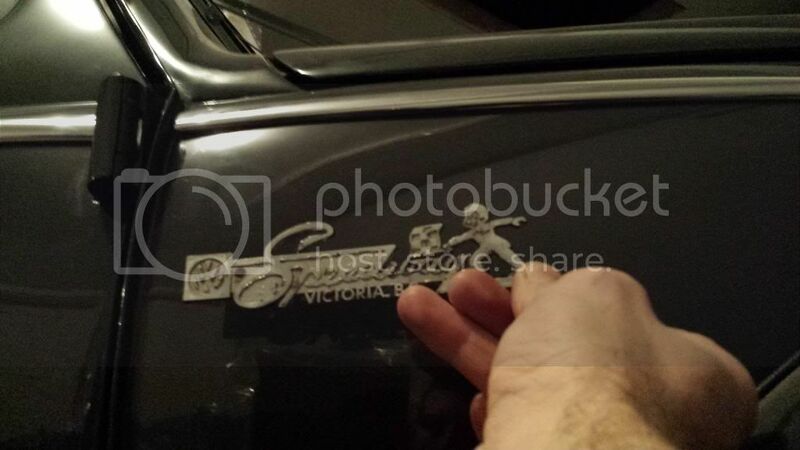 I'm looking for any Sask VW plate frames. I don't have pics so maybe they don't exist but it's worth a try. Some names would be: EK motors, Volkswagen Sales & Service, Prescon motors, James Motor sales, DePape Volkswagen. 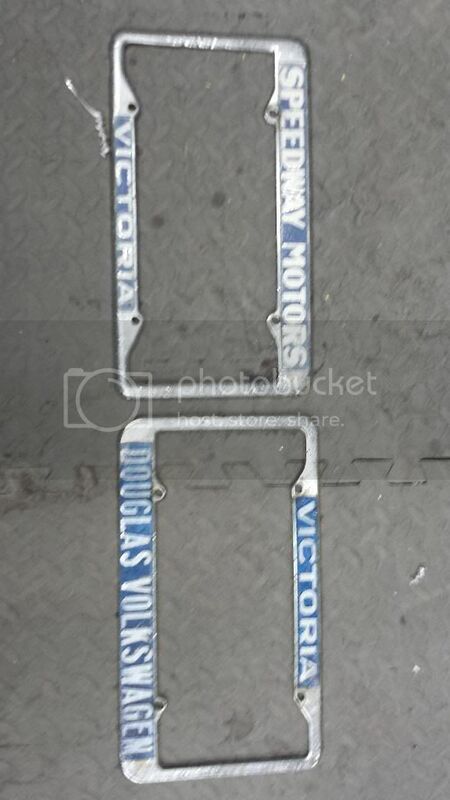 I have a VW Pacific plate frame I could trade. 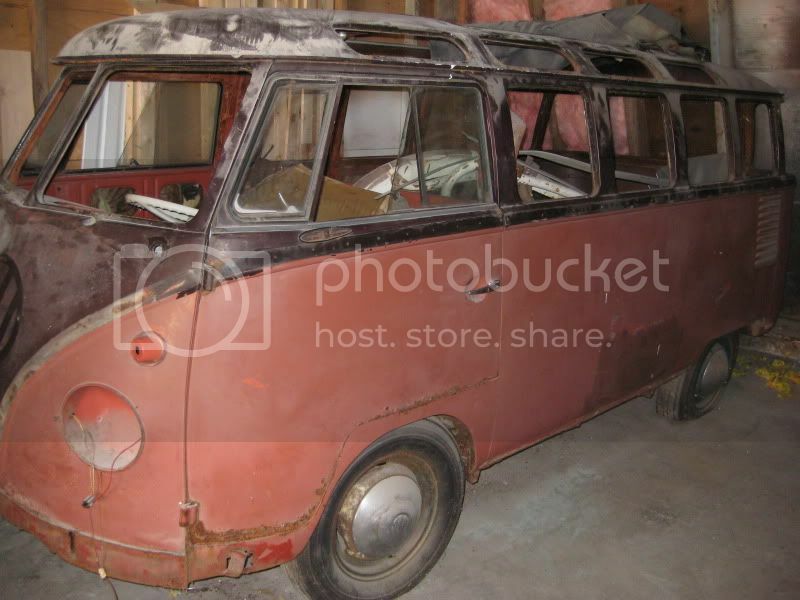 Looking for a Volkswagen Pacific frame. hey Brian good post but i beat you by a few weeks on that one,see my above post. guess there's not that much interest... at least at that price!